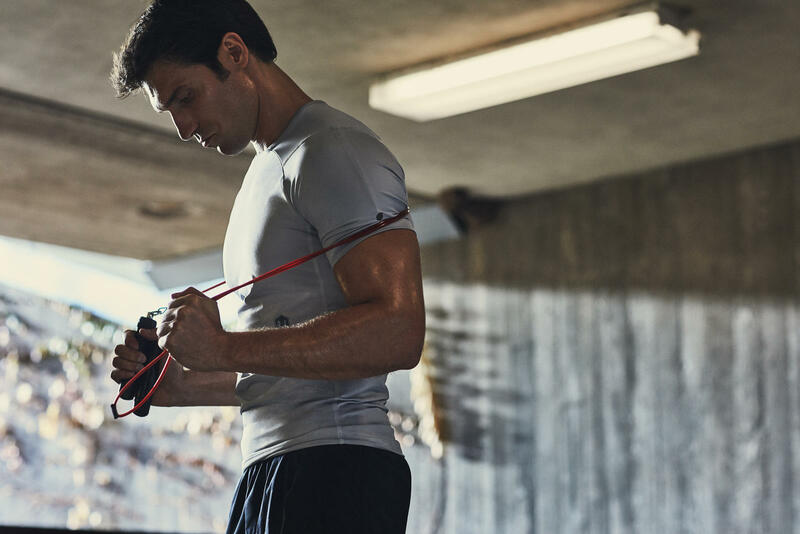 American sportswear company Under Armour has launched a new collection of ‘responsive’ performance wear. The range has been designed to give superfluous endurance and power to the wearer. The sportswear brand collaborated with technology provider Celliant for the collection. The Rush line is for both men and women. It includes tees, long-sleeved shirts, leggings, tights and sports bras. ​This the Under Armour’s second collaboration with Celliant. It first partnered for 2018 Athlete Recover collection which was designed to be worn after an intense workout session for muscle recovery. The line is aimed at providing extra training support to the wearer via clothes, during and post-workout. “The introduction of UA Rush is our commitment to giving athletes 360-degrees of training support both in the gym and beyond. With the launch of UA Rush, we now complete the training cycle, there is now UA gear designed to optimize human performance at every training occasion,” said Dan Leraris, GM, Men’s Training, Under Armour. Under Armour states that each piece in the assortment is made from performance fabric that is enriched with a special mineral blend, which activates when the wearer’s body heat up from physical activity. The Rush fabric converts that heat into infrared energy that is re-emitted back into the body, increasing temporary localized circulation and promoting improved performance, energy and recovery, the sportswear retailer said. A campaign will also run to boost the new product line. Under Armour will create a documentary film featuring athletes like Stephen Curry, Kelley O’Hara and Anthony Joshua. The athletes will train while wearing Rush collection this summer. The all new Rush collection will be up for grabs from April 11 at UA.com, Under Armour brand houses, and select global retailers. The collection ranges from US $ 45 to US $ 100.